A CVA is a legally binding agreement, so it is important that you bring in a qualified and experienced insolvency practitioner to assist. At PJG Recovery we have a team of Licensed Insolvency Practitioners and experienced staff who have the knowledge, experience and passion to help get your business back on track. We have helped many businesses to address their trading difficulties over the last few years, and the vast majority of those have continued to trade successfully. Business debts can quickly add up and it is vital that you take action now before it is too late. 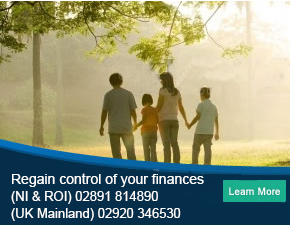 Call us on (NI & ROI) 02891 814890 (UK Mainland) 02920 346530 or enquire online for confidential CVA advice. Throughout the entire process, the team at PJG Recovery will be here to assist with any questions you have and are happy to offer advice on all aspects of business recovery and debt management. We manage the creditors and can do the talking on your behalf, leaving you to run your business. Why use Philip Gill (PJG Recovery) for your Company Voluntary Arrangement? The team at PJG Recovery are business recovery specialists and Licensed Insolvency Practitioners. We have the legal qualifications as well as the real world experience to prepare a CVA on your behalf. We take the time to learn about your business so that we can tailor our advice to suit your situation and create the greatest possible chance that the CVA works as a win/win situation for both your business and your creditors. The team at PJG Recovery have helped many businesses use a CVA to reduce debts and avoid repossession. Call us now on (NI & ROI) 02891 814890 (UK Mainland) 02920 346530 or enquire online to start working towards a debt free business. Simply call us on (NI & ROI) 02891 814890 (UK Mainland) 02920 346530 or fill in our online enquiry form and we will call you back. One of our business insolvency practitioners will run through your situation and offer relevant advice on your options and whether it is possible for your business to have a Company Voluntary Arrangement. If a CVA is suitable, then we will guide you through the process and act on your behalf, quickly and professionally.